Booking a business jet charter is just as easy as booking any other means of transportation. However, the charter provider has to make some preparations. Therefore, certain information are necessary in order to customize the flight according to your wishes. Charter flights have many advantages compared to scheduled flights. In this blog post, we will show you that – in addition – booking a business jet is just as easy as booking a scheduled flight. information about stopovers: if stopovers to refuel are acceptable, you can also book private jets with a shorter range whose prices are often smaller. In addition to the information about the flight, you should also remark any additional wishes, for example regarding onward (car, limousine, train or helicopter) transport or special requests in terms of the catering. If there are any religious, medical or other restrictions regarding the food, you should also inform the provider about them during the booking process. If you intend to book a private jet request certain information beforehand. 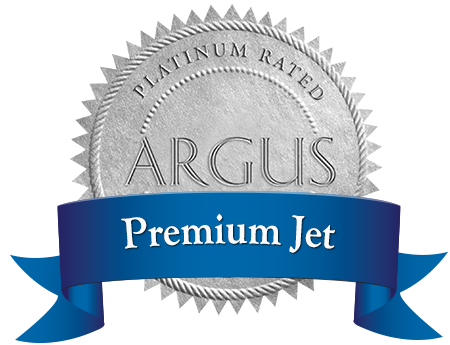 Ask the charter provider for recommended jet types according to your specifications. This makes it easier for you to find out if the jet really suits your travel needs. Furthermore not only just one private jet should be offered but a selection of possible alternatives. Also request information about the desired airport. For example, it is important to know if there are restrictions in case of bad weather. Let the provider explain the specifications to you – this way you will also learn if the communication works well. If you are looking for a short-term charter flight, you may ask for an Empty Leg Flight. Empty Leg Flights are flights without passengers. Those can be booked at extremely attractive conditions. However, keep in mind that Empty Leg Flights only make sense for one-way trips and that they are only available at short notice. The booking of a business jet charter is just as easy as – if not even easier than – booking a scheduled flight. You get some offers, give your information to the charter provider, and that’s it. If in future you book a charter flight with the same provider, the last step is omitted. You only tell them where you want to fly and this concludes the whole booking process. If you intend to book a private jet or charter a flight, a bit more preparation is necessary compared to a scheduled flight. This is mostly owed to the fact that a private jet offers a lot more amenities and that a charter provider meticulously implements the requests of the passengers. Once the basic questions, for example special catering requests or preferring a certain type of jet, are dealt with, booking a business charter jet is just as easy as booking an airline flight. One thing that cannot be compared to a scheduled flight is the excellent service. If for instance changes occur after the booking, the charter provider will try to implement your wishes to the best extent possible. For example, postponing a flight for a few hours is – in contrast to airliners – not a problem at all.